Welcome to the new Healthy Whole Me . 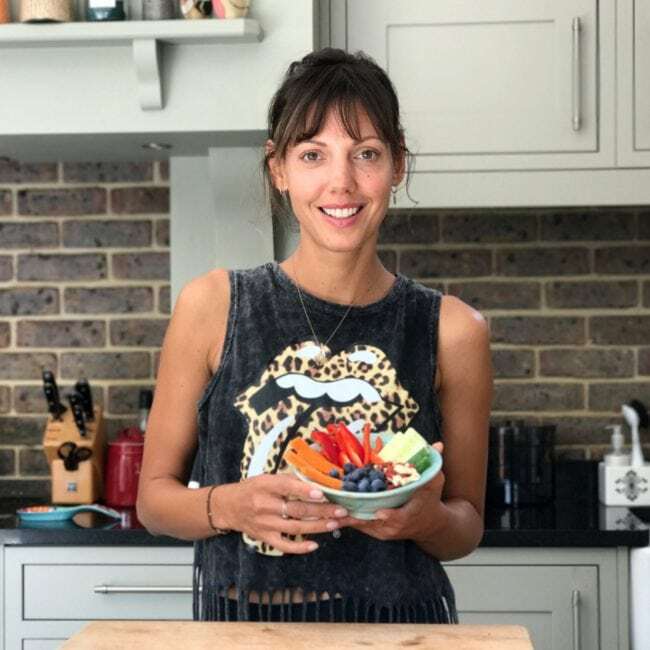 My name’s Dani and I am passionate about creating a wholesome, balanced and sustainable lifestyle for my family and me. I love good, healthy, real food that is easy to prepare and tastes great. Healthy Whole Me embraces food for the body, mind & soul. After all, a happy mind equals a happy body and vice versa! But it has not always been this way for me. I was born in Austria and, although my mum followed a lovely Mediterannean diet, much of my younger life was filled with eating salami sandwiches and chocolate. Even after I moved to London I never showed much interest in cooking. I regularly over ate and when my 3 children were born, I cooked more as a means to an end than anything else. As a busy London mum there were always a million other things to do that I thought were more exciting than cooking! But then, at the age of 33 with three girls under four, I was diagnosed with a very agressive type of breast cancer. Needless to say, my life changed irrevocably and so did the way I eat, move and think. Today, three years after multiple surgeries, chemo & radiotherapy and a double mastectomy, I cannot think of anything better than preparing and eating good, wholesome food to nourish and renew me, every single day. It was only after my cancer treatment had finished that my life began to crumble. I was overwhelmed with fear that my cancer would come back and my body was weak and exhausted. I was officially in remission which was great but, as with all cancers, there is always a chance of recurrance and I felt so out of control. I needed to become as active as possible in my recovery process, I could not just sit back and hope for the best. It was at this point that I came across numerous diet and illness related articles and studies. Our society suffers from so many health issues which are directly or indirectly linked to what we eat and drink. I had this urge to nourish myself to make my body as strong as possible and give me a sense of hope and control. So I began to discover food. Real, good food. Food is much more than filling a hunger gap. It can be packed with nutrients, antioxidants and vitamins that have the most amazing benefits and effects. It was also at this point in my life that my mother in law convinced me to join her weekly yoga class. And although the first few months on my mat were merely taken up by worrying about not loosing my wig in downward dog, I kept going back, got hooked, began my yoga teacher training and today I teach a local class. By eating the most nutritious food I could and by discovering the healing and strengthening effects of yoga, I slowly started to recharge my batteries, renewed my cells, & here I am today feeling the healthiest, strongest & happiest I have felt for a long time. If I have one message I would like to get across then it’s: ‘Look after yourslef’! You’re worth it, and do it in ways that are good for YOU. May it be by eating well, excercising or perhaps taking a nap when you really need one. Life comes with so many pressures and especially as a parent we often put ourselves last ever so often. My lifestyle changes have been so empowering to me and they played a huge part in my recovery process. As I am a busy mum of three, my healthy and wholesome lifestyle is simple enough so that it can be sustained even when life gets hectic. None of the recipes are complicated, none of the ingredients are super expensive and I hope that you will find lots of inspiration here for yourself and your families!